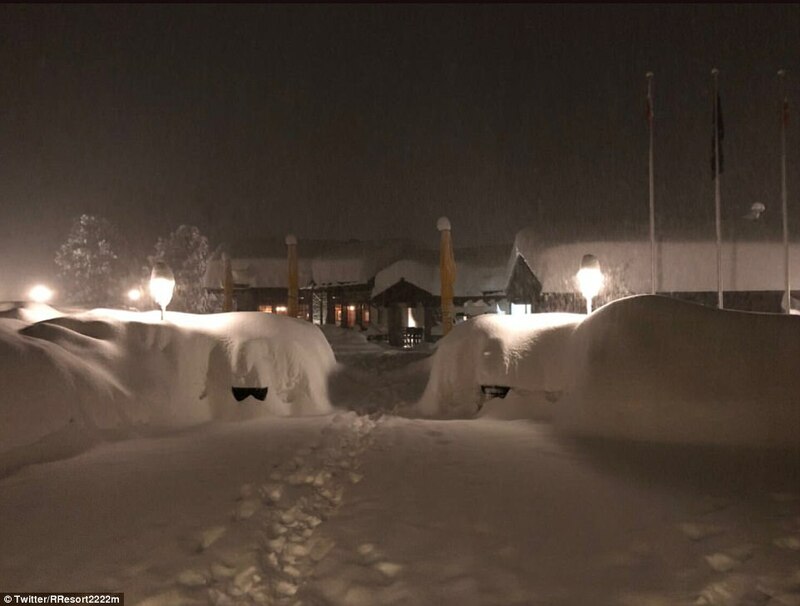 Heavy snowfall has trapped around 13,000 tourists at one of Switzerland's most popular alpine resorts with many indulging in a spot of après-ski to pass the time. 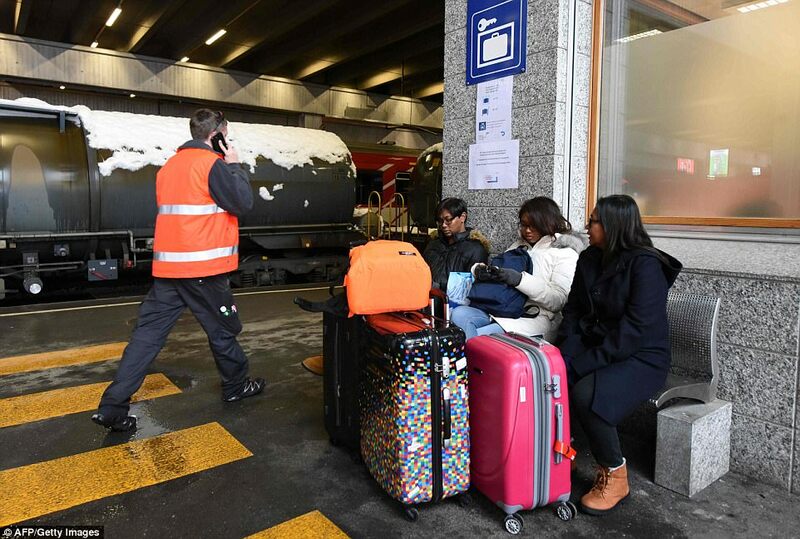 The snow has blocked all roads and the train leading to Zermatt, in the southern Swiss canton of Valais, leaving thousands stranded at the resort, head of the train station Janine Imesch said. 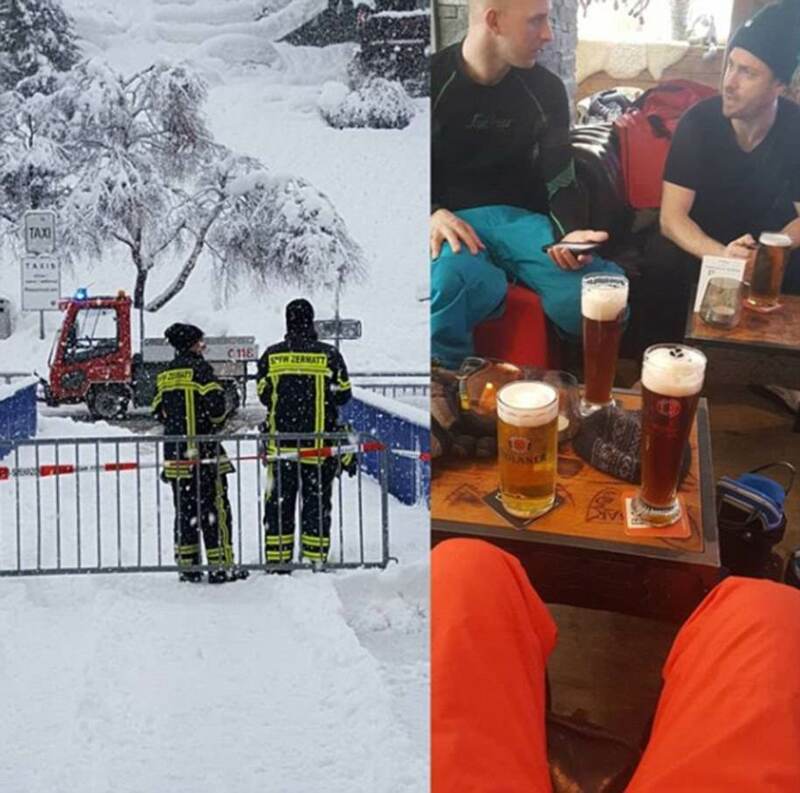 But keen to not be defeated by the blizzard-like conditions, many skiers have been enjoying the second most popular pass time on the slopes by putting their boots away and getting the beers in. 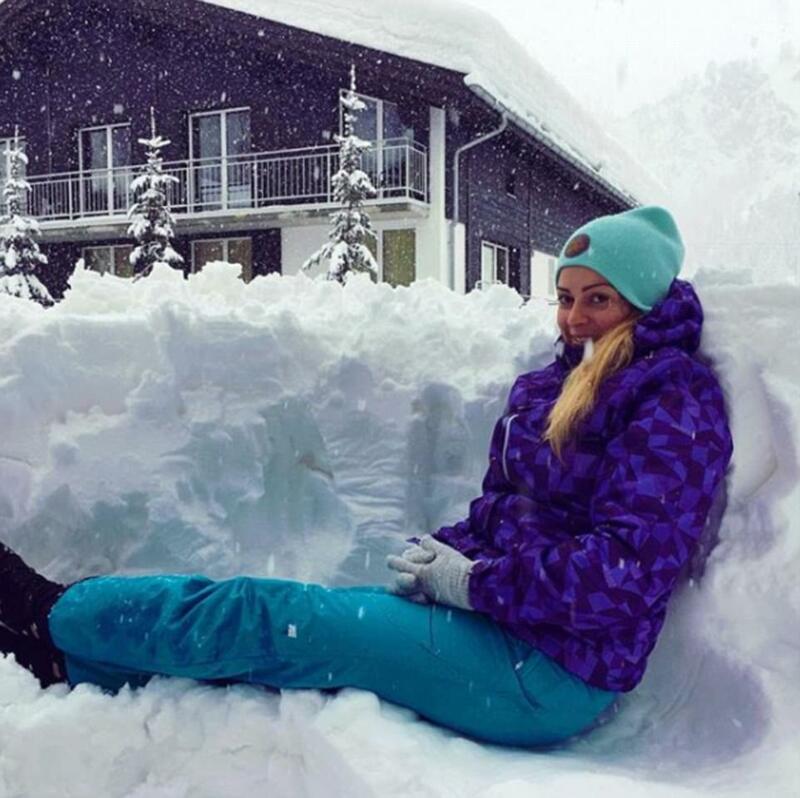 Taking to social media to share their exploits, trapped skiers have been settling in for a few pints while frolicking in the thick snow for fun. 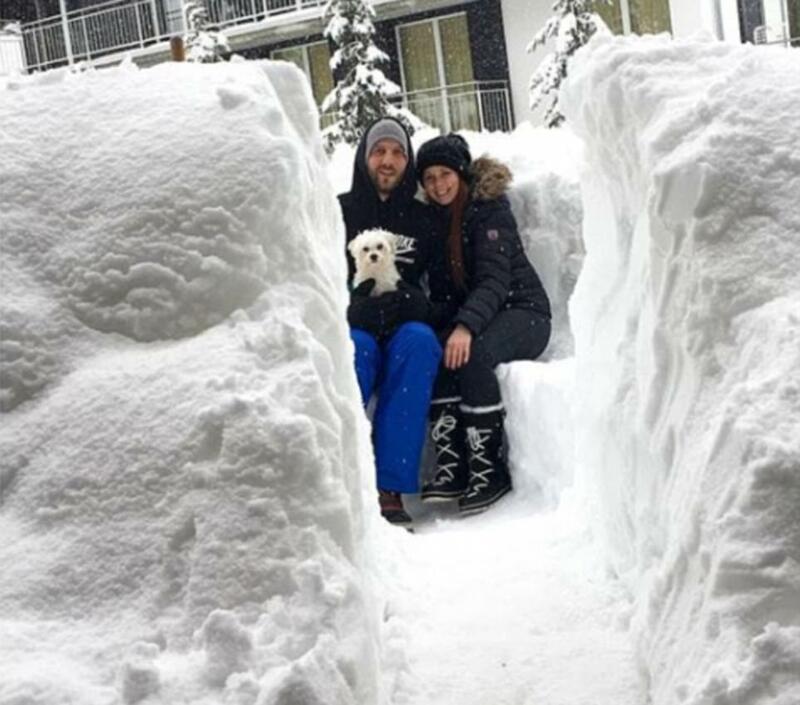 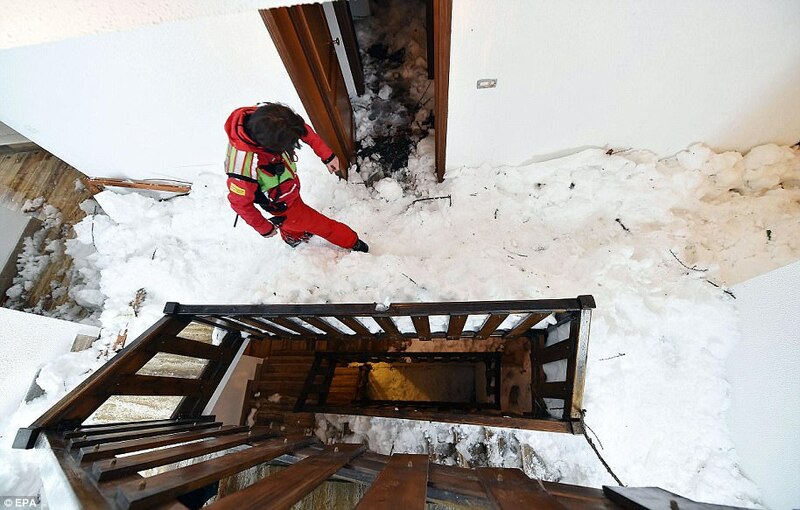 One woman dug herself a trench outside of the ski chalet, another was buried up to her chest to show just how deep the snow went. 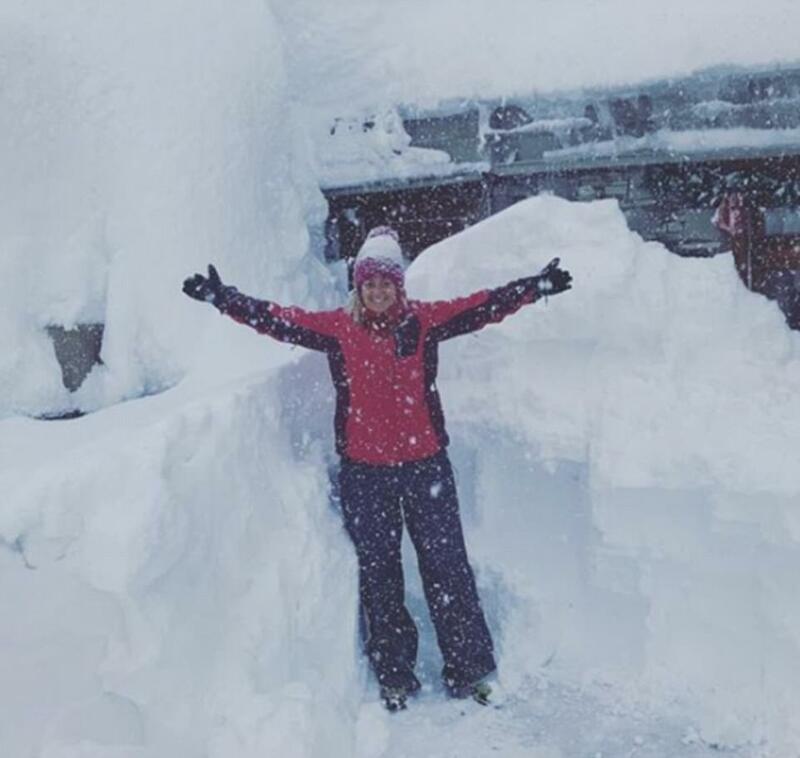 Dozens more have posed for selfies while emergency service workers ensure the resort is made safe amid the blizzard-like conditions. 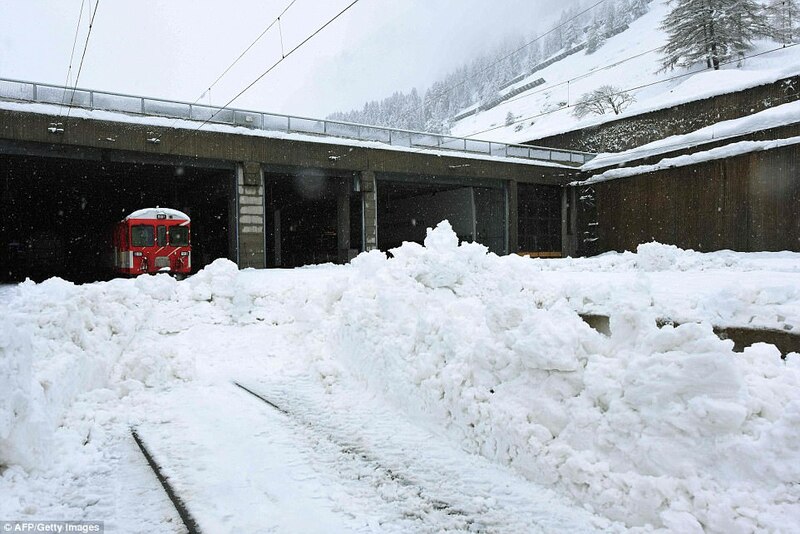 The main access road has been closed since early yesterday, while the train was halted last night, she said. 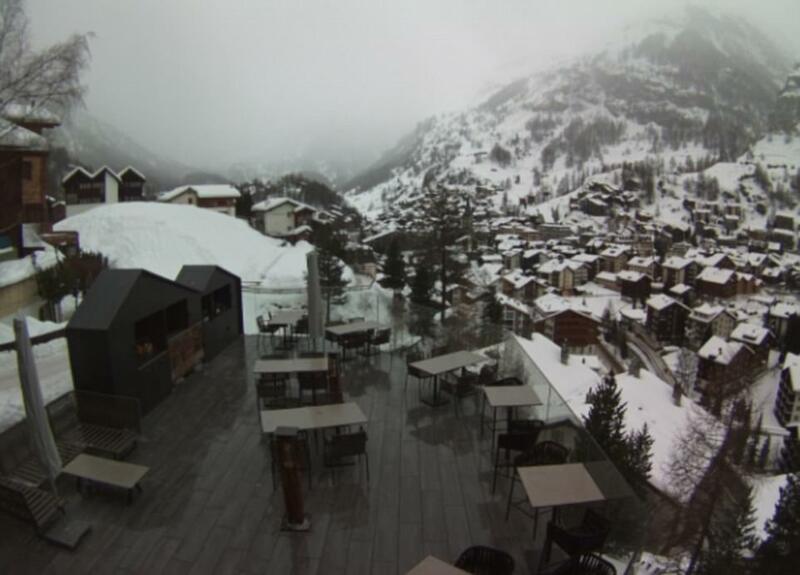 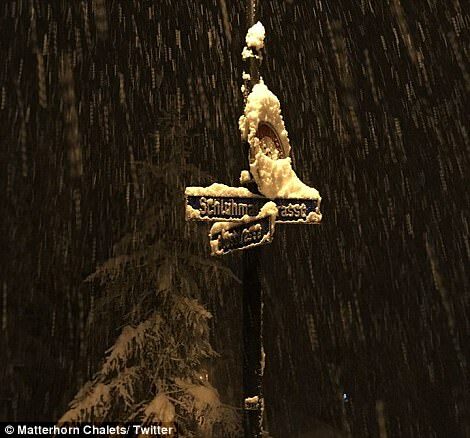 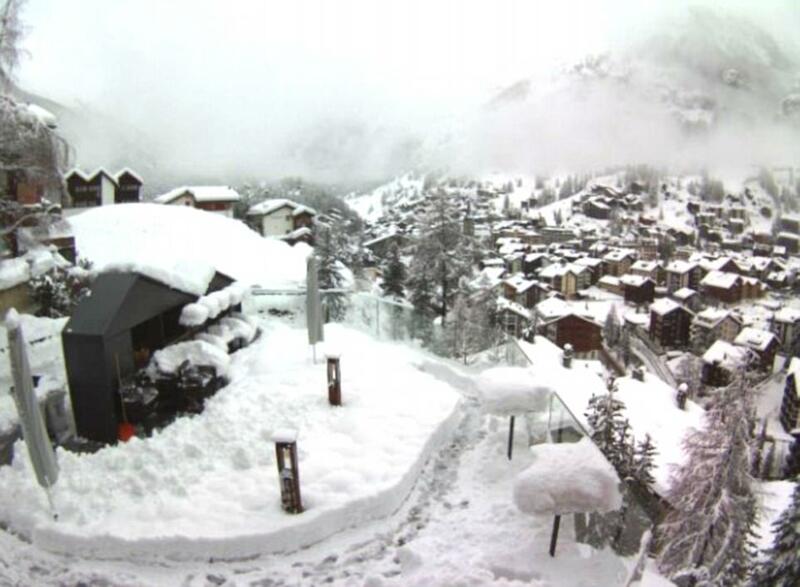 Part of widespread weather chaos across the region, Zermatt is not the only resort to have suffered heavy blizzard-like conditions. 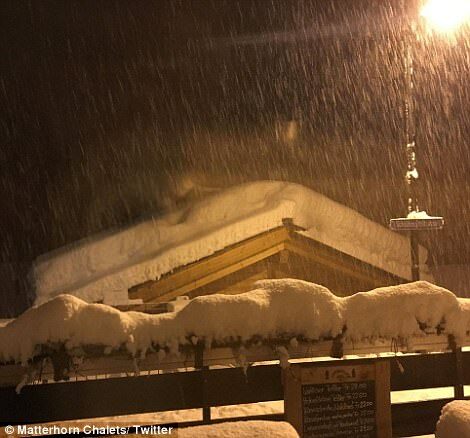 Tignes, another ski resort, in the French Alps saw more than 62 inches of snow in the past 48 hours, while Sestriere in Italy - a few miles from the French borders - saw more than 30 inches fall. 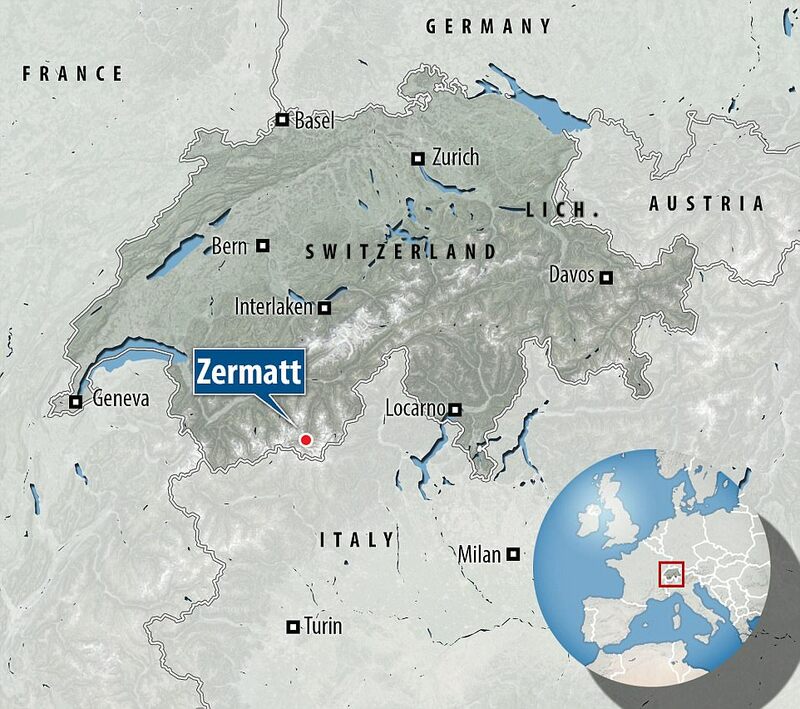 Zermatt is home to about 5,500 inhabitants and has the capacity to accommodate 13,400 tourists spread across hotels and rental apartments. 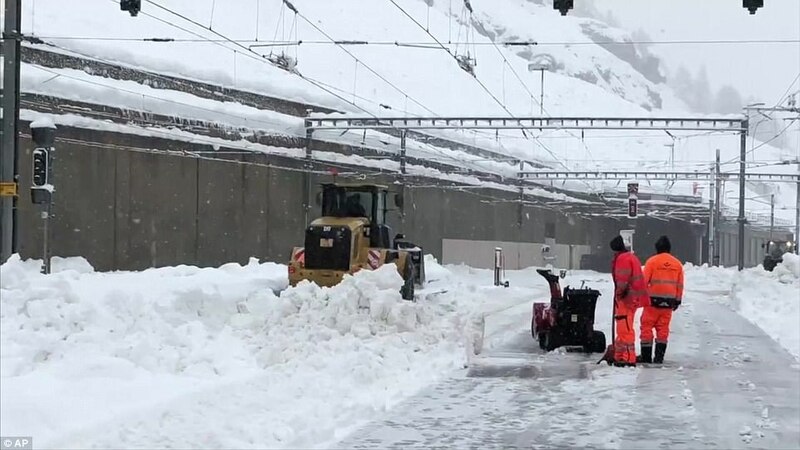 But the stranded tourists will not be able to take advantage of the abundant snow for the time being, due to the high risk of avalanches in the area. 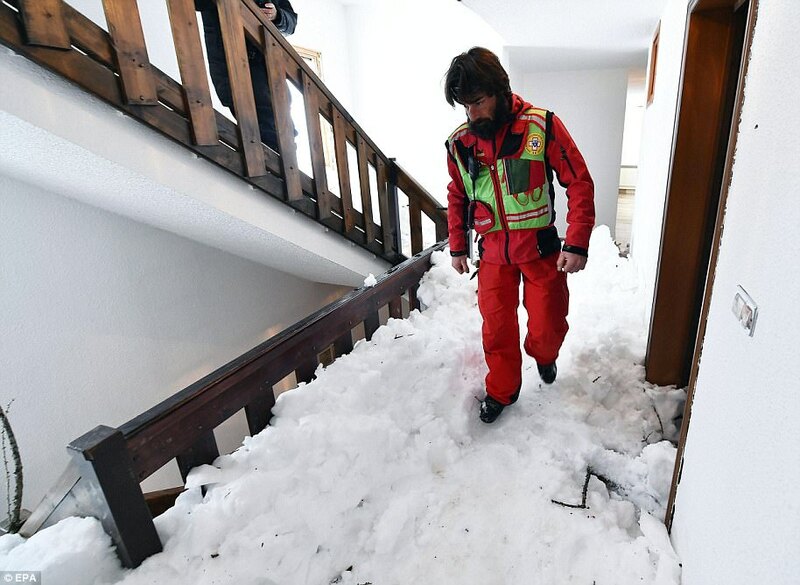 Despite her optimism, however, commune president Romy Biner-Hauser said that every precaution is being taken since the avalanche threat is at maximum - or 'extreme'. 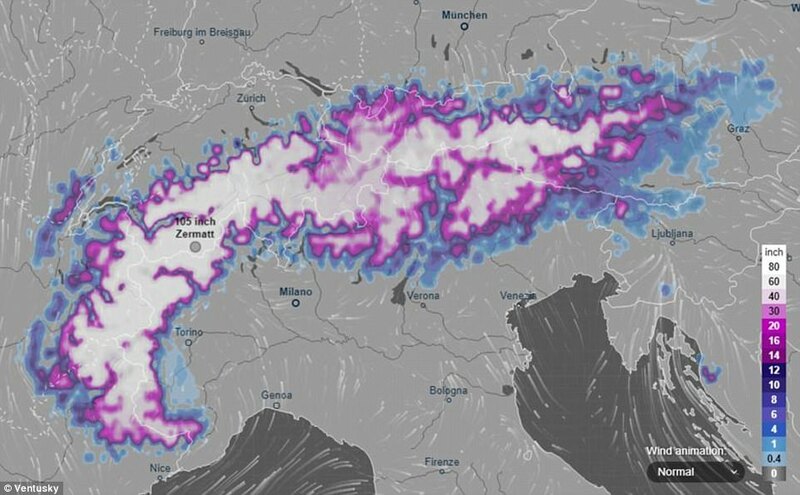 The Swiss Federal Institute for Forest, Snow and Landscape Research warned of 'numerous large, and, in many cases, very large' avalanches. 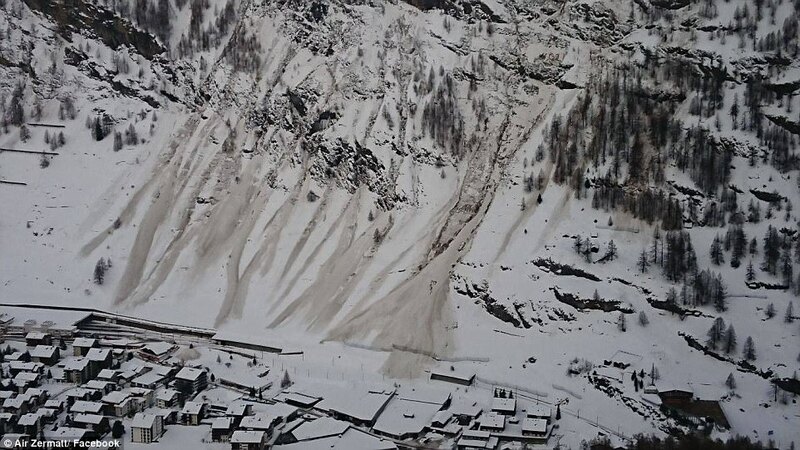 It went on: 'From starting zones that have retained some snow the avalanches can reach an exceptionally long way. 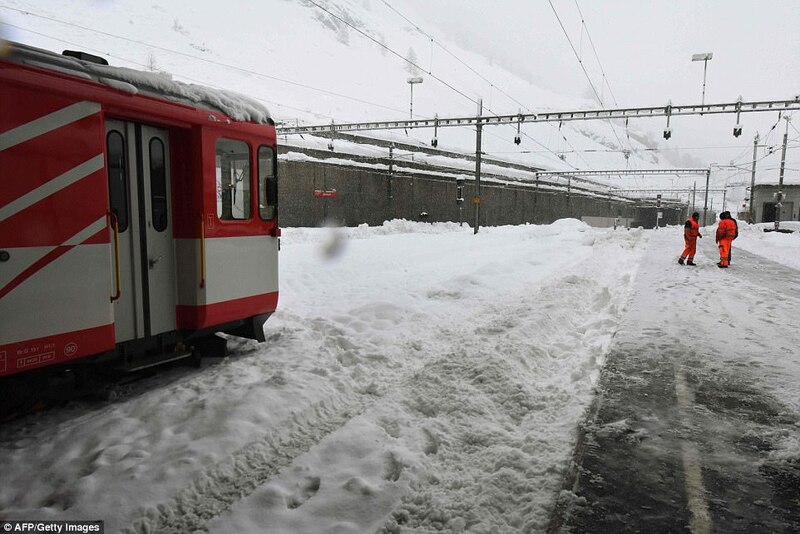 Exposed buildings and exposed parts of transportation routes are endangered. 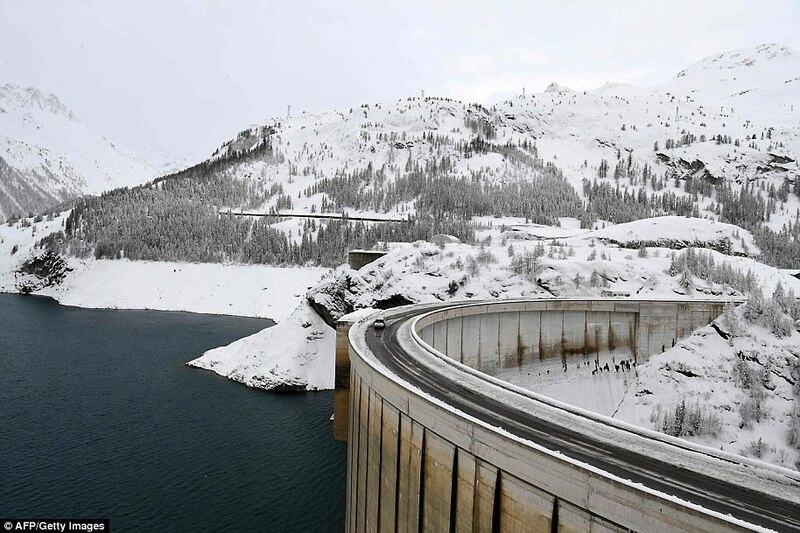 Extensive safety measures are to be maintained in particular for the late morning. 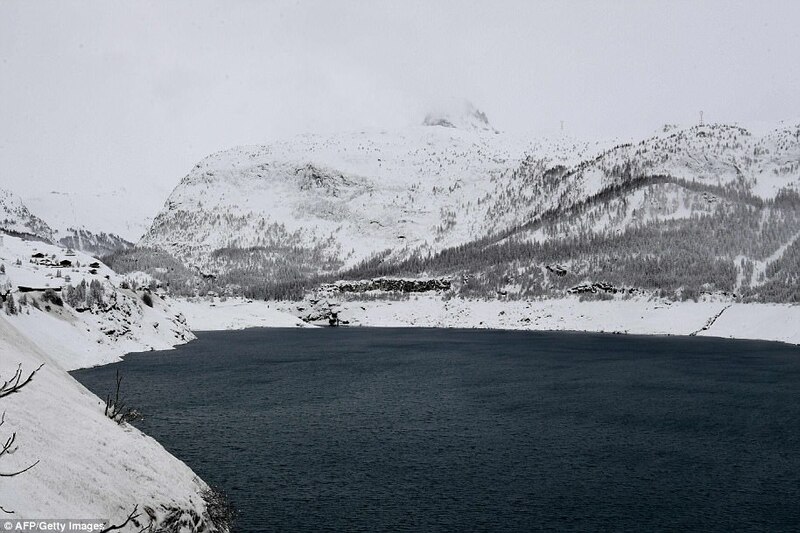 A reconnaissance flight is planned over the area to help determine the situation and how to proceed. 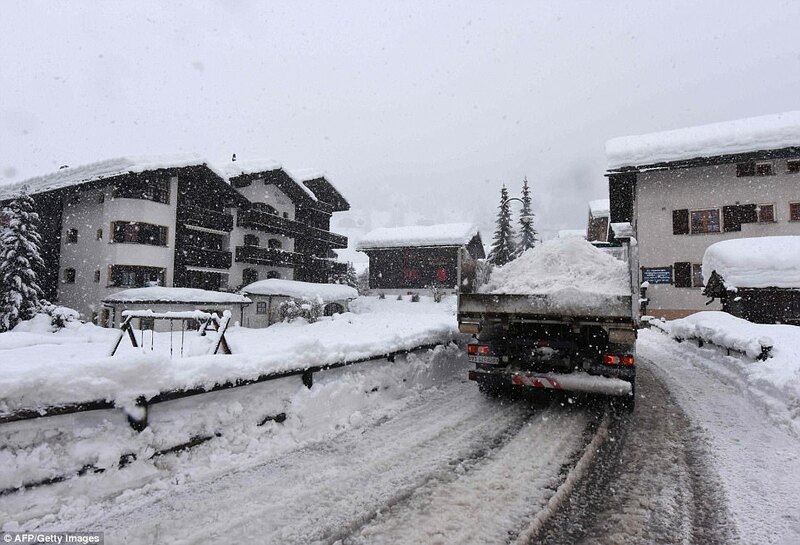 A number of other Valais villages were also isolated by the heavy snow. 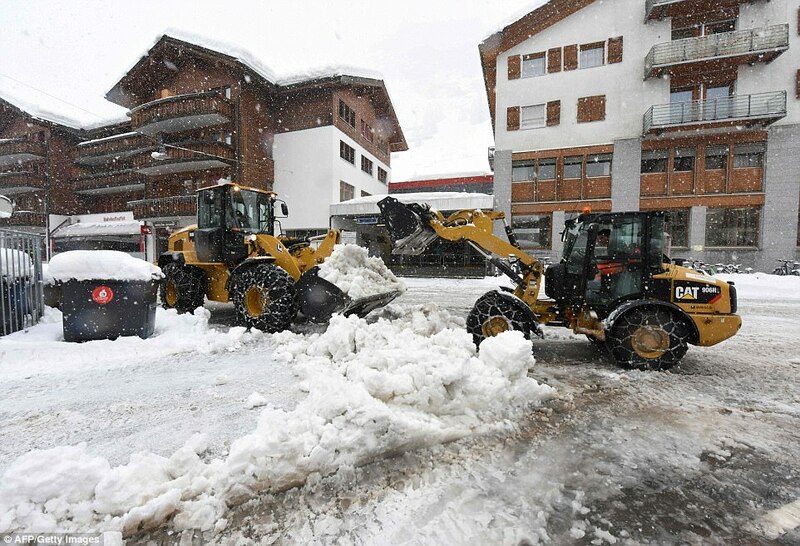 The Simplon region of Valais was hit by 3.5 feet of snow in a 24-hour period, the ATS news agency reported. 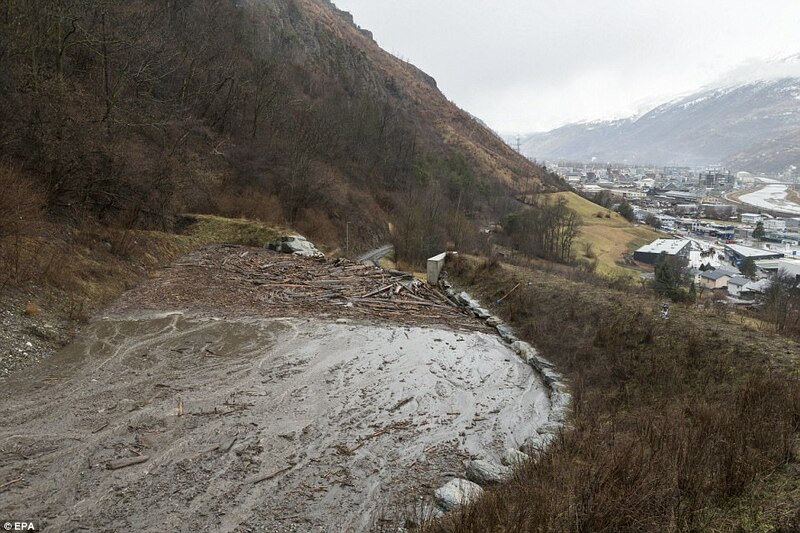 Mud and rockslides, as well as flooding, have forced the closure of a number of roads across Valais, as has the risk of avalanches, which regional police have said is currently at the highest possible level. 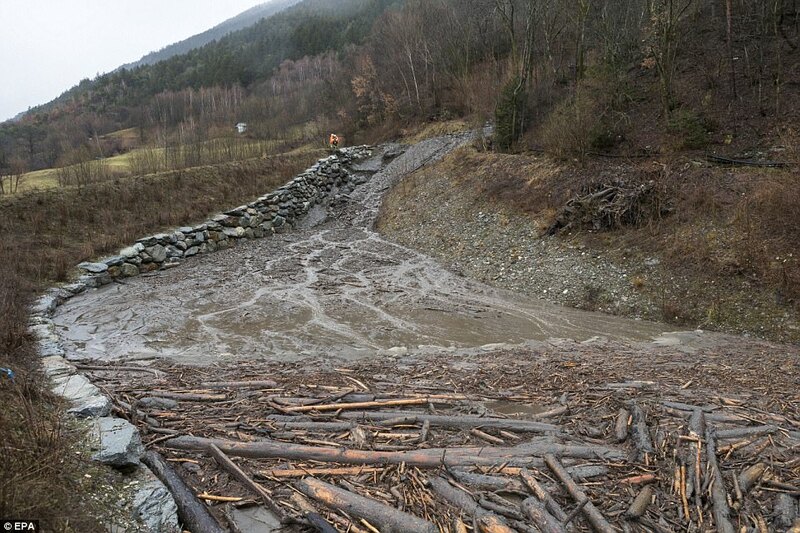 At lower altitudes, heavy rains have meanwhile forced the evacuation of around 20 people from the tiny village of Eyholz, and the hamlet of Mottec was also emptied as a precaution, the RTS broadcaster reported. 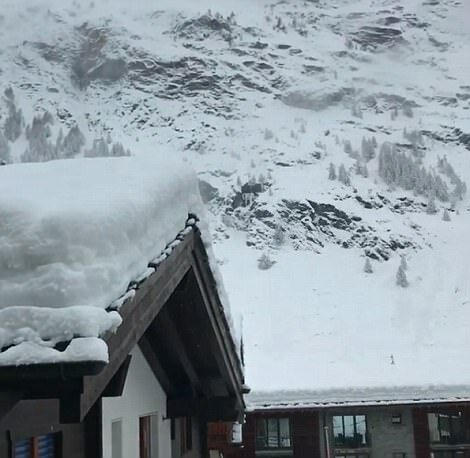 Beyond Valais, the first men's World Cup downhill training run in Wengen, in the canton of Bern, was cancelled Tuesday due to snow and high winds, organisers said. 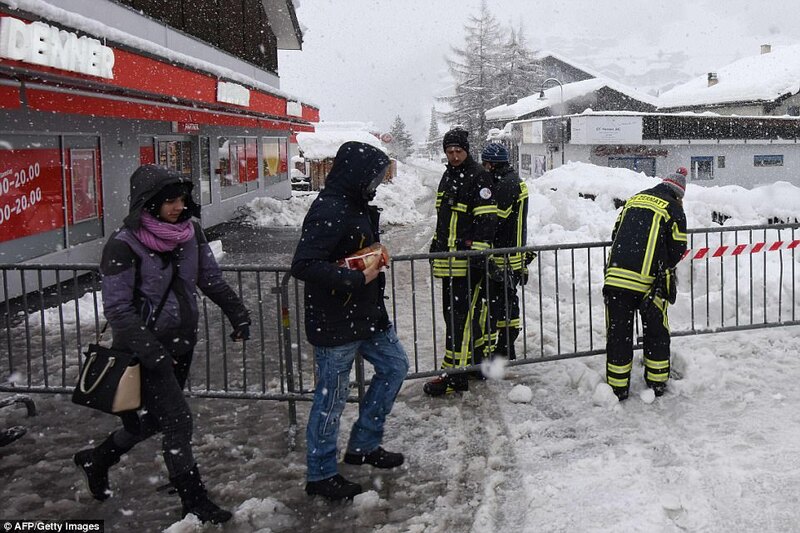 Overnight winds of up to 125 miles per hour also meant there was significant damage to infrastructure on the course, notably at the finish area where tents and the stands were hit. 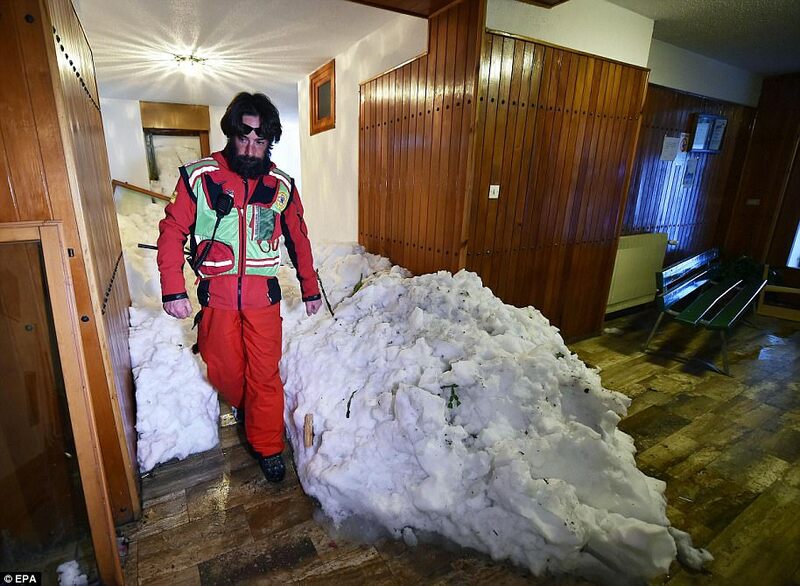 The piste itself was unaffected. 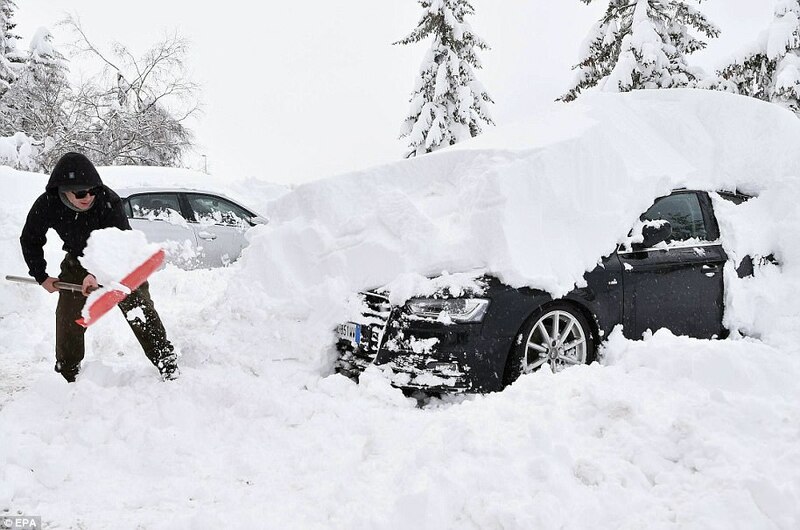 Extreme weather conditions have affected tourists and residents around the Alps, with more than 60 inches of snowfall seen in some parts of France. 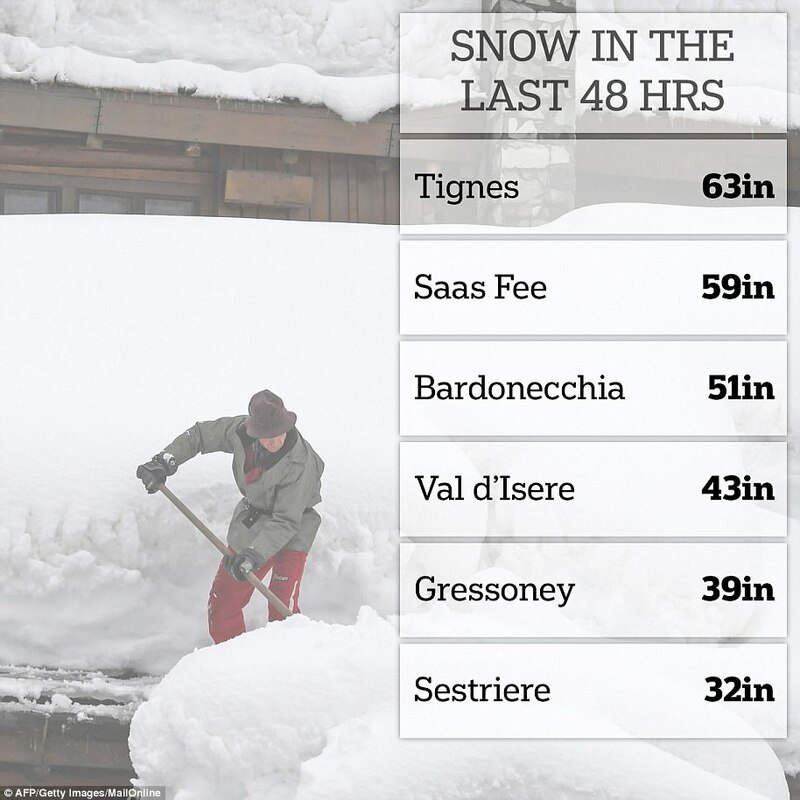 Tignes, another ski resort, in the French Alps saw more than 62 inches of snow in the past 48 hours, while Sestriere in Italy - a few miles from the French borders - saw more than 30 inches fall. 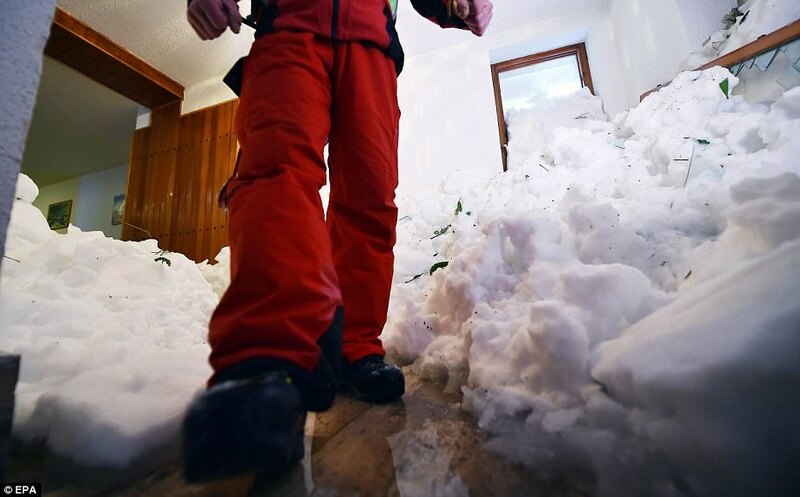 The dangerous conditions have even hit the Olympic village in Italy, with an avalanche hitting buildings in Sestriere, damaging rooms and furniture. 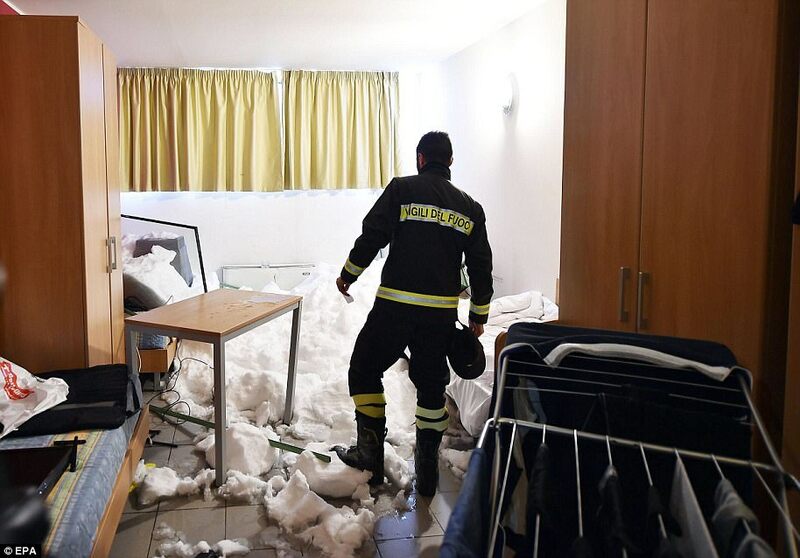 The authorities have evacuated 69 people, including several children, who have been put up in hotels, with the local council footing the bill. 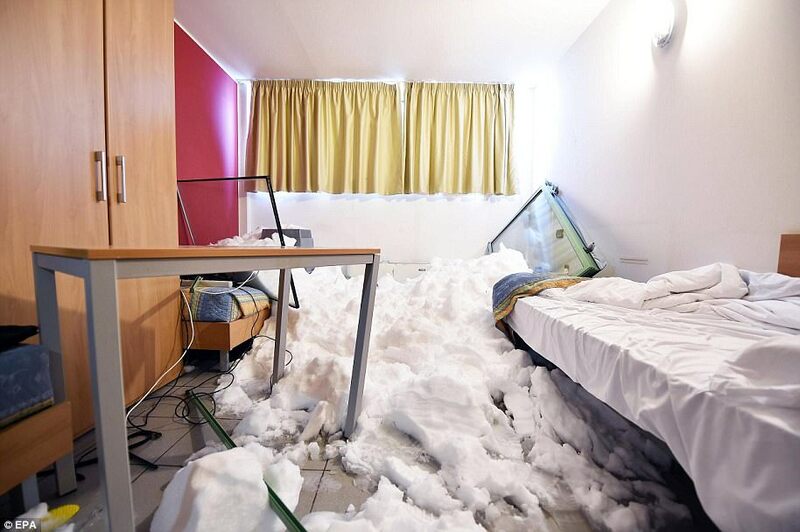 Roughly 100 people were evacuated from the Olympic Village built for the 2006 Winter games. 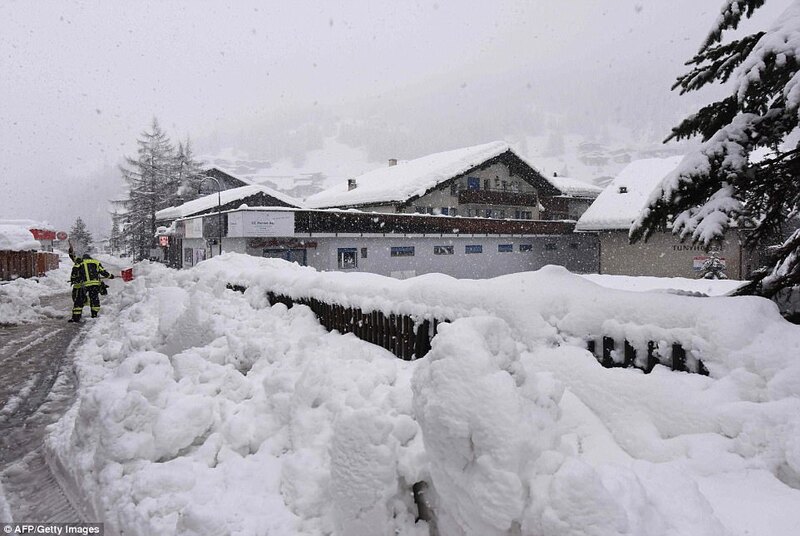 Authorities have issued a high avalanche alert due to heavy snowfalls in northern Italy.